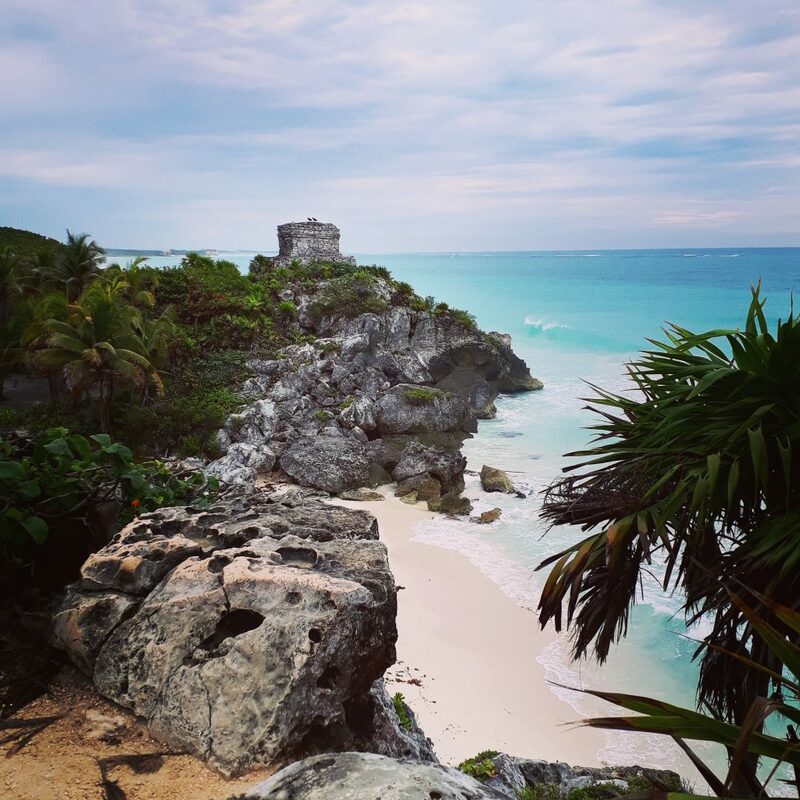 If you’re a person who likes the sidekick better the superhero, Tulum is the place for you on the Riviera Maya. 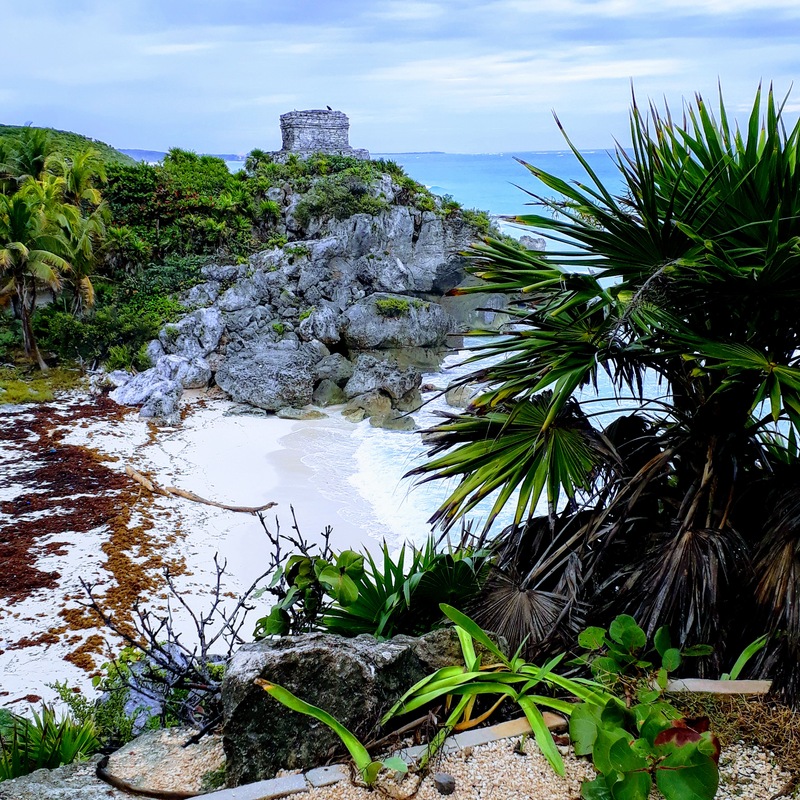 Doomed to be the eternal Robin to Playa del Carmen and Cancun’s Batman, Tulum fends for itself with a sort of alternative hipster vibe, a wide range of activities and a less aggressive approach to tourists. Its popularity, however, is rapidly growing, so I don’t think it will take long before its transformation into a new Playa. Tulum has a double core: the main street that cuts the town in half and the beach area, but I loved wandering around the secondary streets frequented only by locals. The trick is, wherever you are, to find out where the school is, because school = park, ice cream, cheap food and authentic Mexican life. It’s amazing what you can find just a couple of blocks away from the touristy areas! 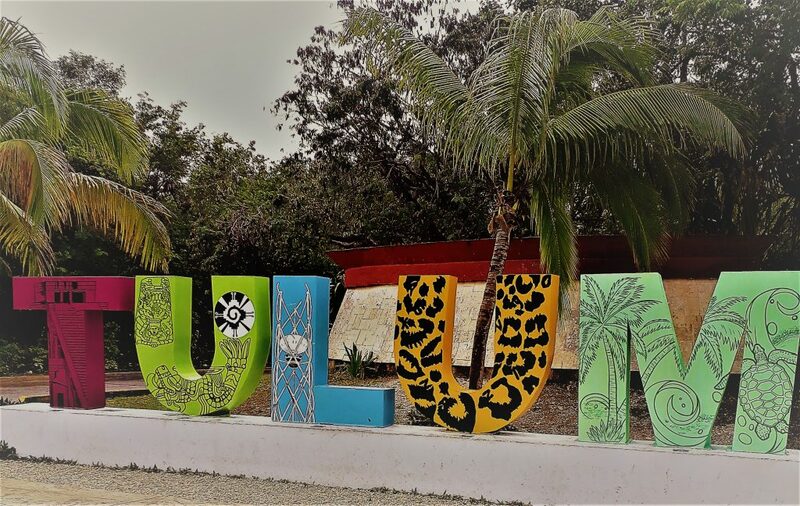 In general, Tulum is a great place for pretty much any type of traveler: it has cheap hostels, all-inclusive resorts, taco stands, fancy restaurants, yoga studios, quite a few vegan friendly spots, artsy cafes, family-friendly hotels and activities and more. El Gran Cenote was the first place I went to visit in Tulum. It’s located less than 4 km away from the city centre, so I decided to walk there. [You have to walk along the freeway, so caution is a must, but overall it’s not a dangerous experience.] 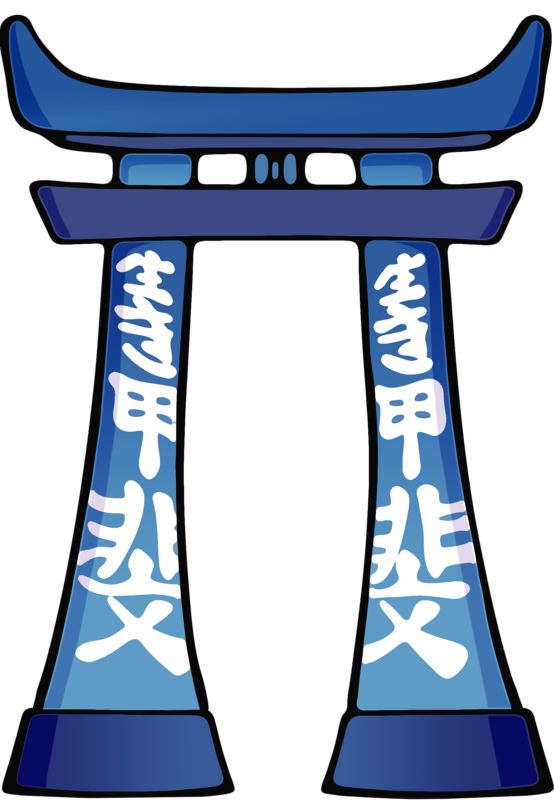 I had done my research about the site but I didn’t expect it to be so beautiful. That’s probably when I started falling in love with Mexico. The cenote boasts amazing crystal clear waters and a lush ecosystem, with caves, trees, bats and turtles. Despite its name, it’s not that big, but it’s the perfect spot for a couple of hours of total relax. After a refreshing swim or two (or three or four), you can take a nap on the hammocks provided or lay down on the grass. Changing rooms, bathrooms, cold showers are available, as well as lockers and snorkeling gear (both for a fee). The only downside is its increasing popularity; it tends to get really crowded, especially with families and big groups, so go early in the morning or a couple of hours before it closes in the afternoon. 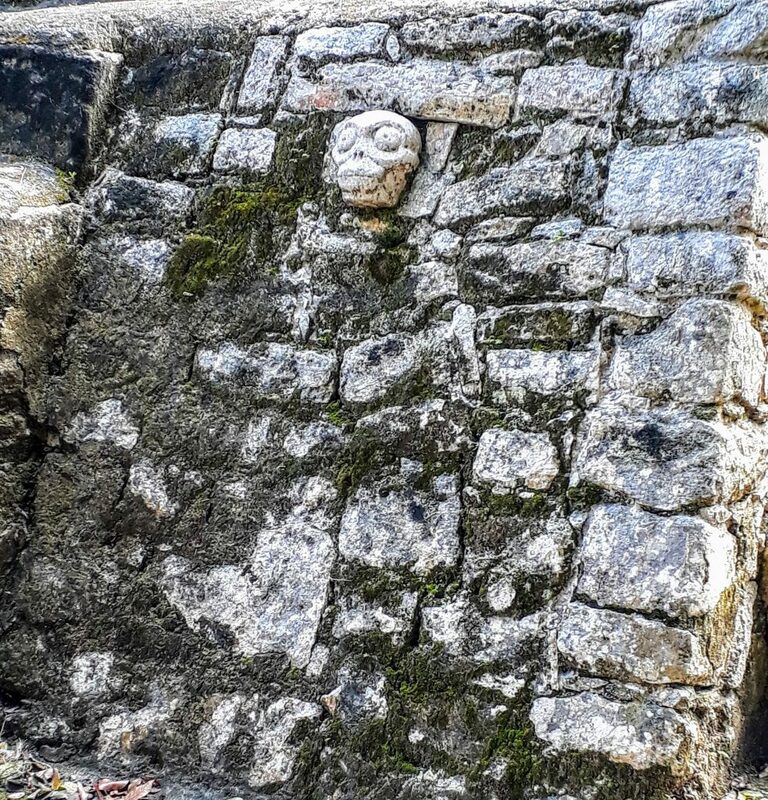 For people who hate big crowds, the only way to enjoy Tulum’s archaeological site is to be there at 8 am, when it opens. I rode my rented bicycle around a sleepy Tulum and at 8.15 I was at the ticket booth. I paid my 70 pesos to get in and off I went onto a narrow path in the jungle, with adorable and fearless coatis as companions. When I finally entered the actual site through a low arched passageway, I stopped for a moment in awe. Walking around these ancient temples and palaces in silence, trying to imagine how life must have been centuries ago, was a humbling experience. 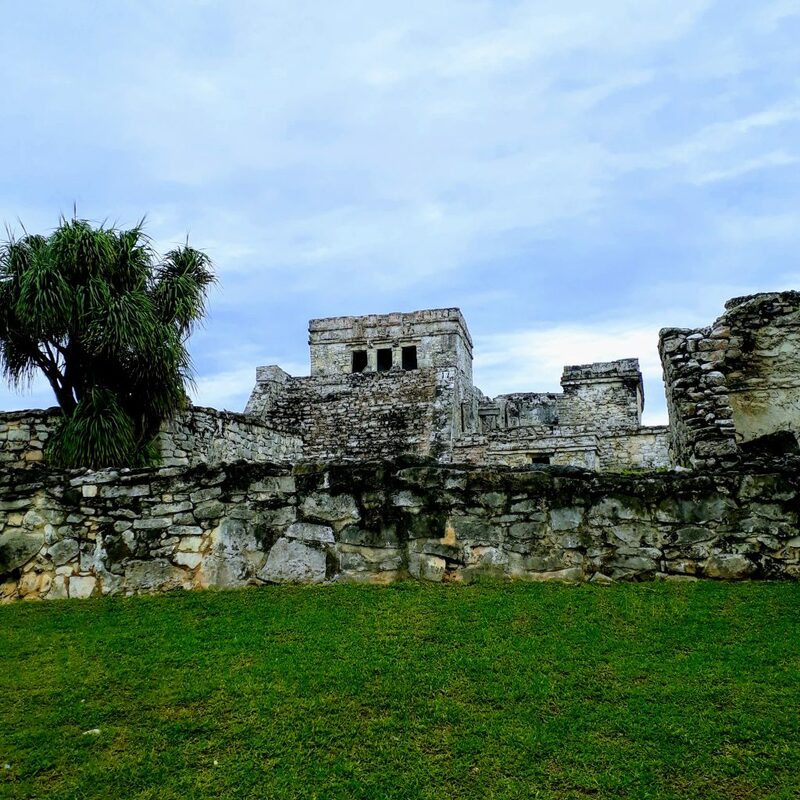 In the following weeks I visited many other sites – such as Coba, Chichen Itza, Uxmal – and realized that Tulum’s ruins are actually pretty small. The very unique feature of this site, however, is its incredible location on the ocean. On a really clear day, apparently you can even see Cuba from there! I took a thousand pictures of the ruins overlooking the ocean and I would have stayed much longer, if only the crowds hadn’t started flowing in like a barbarian horde. Important tip: there is a wooden staircase that connects the ruins to the beach down below, so bring towel and swimsuit and enjoy a swim in this amazing unspoiled setting. 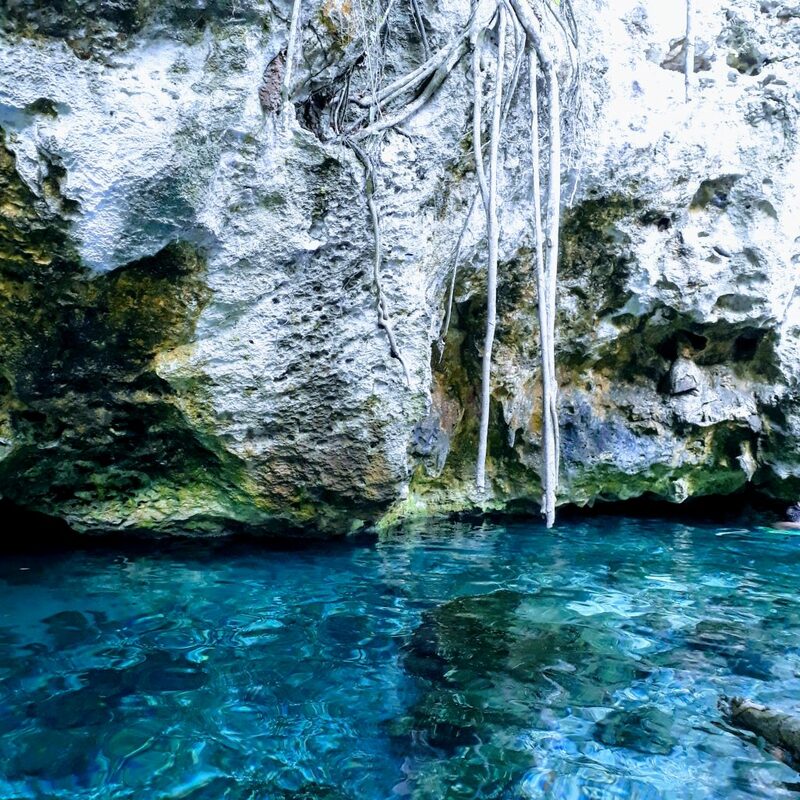 Casa Cenote is another must-see. If you can only pick a couple of cenotes in the area (and there are lots, believe me), this would be one of them. Casa Cenote has the greenest water I’ve ever seen. It’s quite different from Gran Cenote, as it’s not really a hole, but looks more like a lake. It follows a sort of S-shaped course nestled in a wonderful jungle: you have to swim against the current at first, but on your way back it feels like a lazy river. 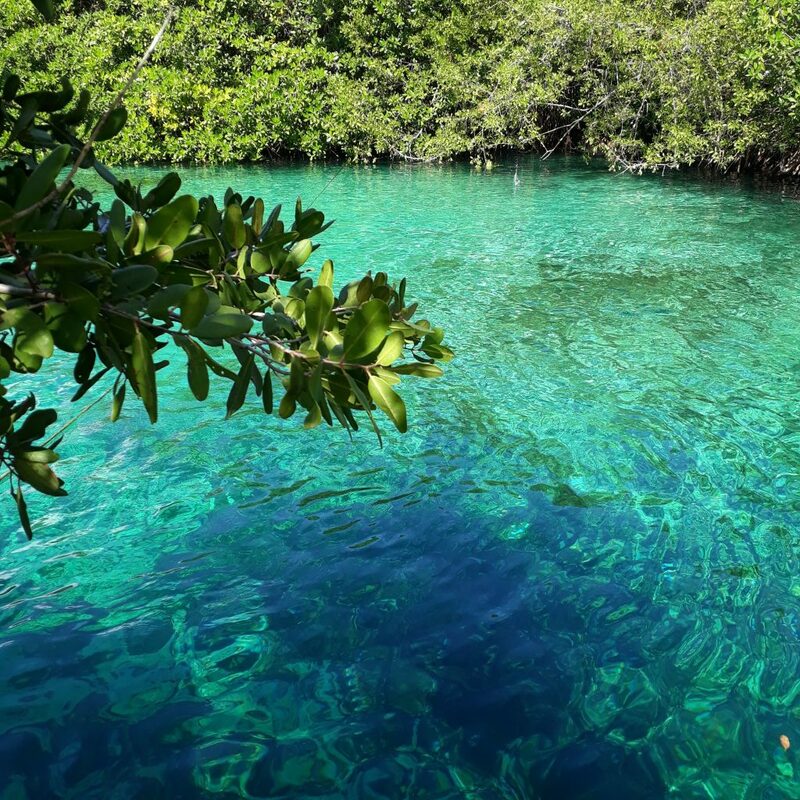 There are two options here; you can either pay the 120-peso entrance fee and explore by yourself snorkeling (bring your gear to avoid high rental fees) or buy the 1-hour guided diving tour for 400 pesos and get to explore an additional part of the cenote only accessible by diving. If you are lucky, you might also meet Panchito, a small crocodile that lives on the river banks and is supposedly harmless. The easiest way to get to Casa Cenote is to take a colectivo (shared van) for Playa del Carmen and ask the driver to drop you off at Casa Cenote. From the main road you’ll have to walk down a secondary street for 1 km. 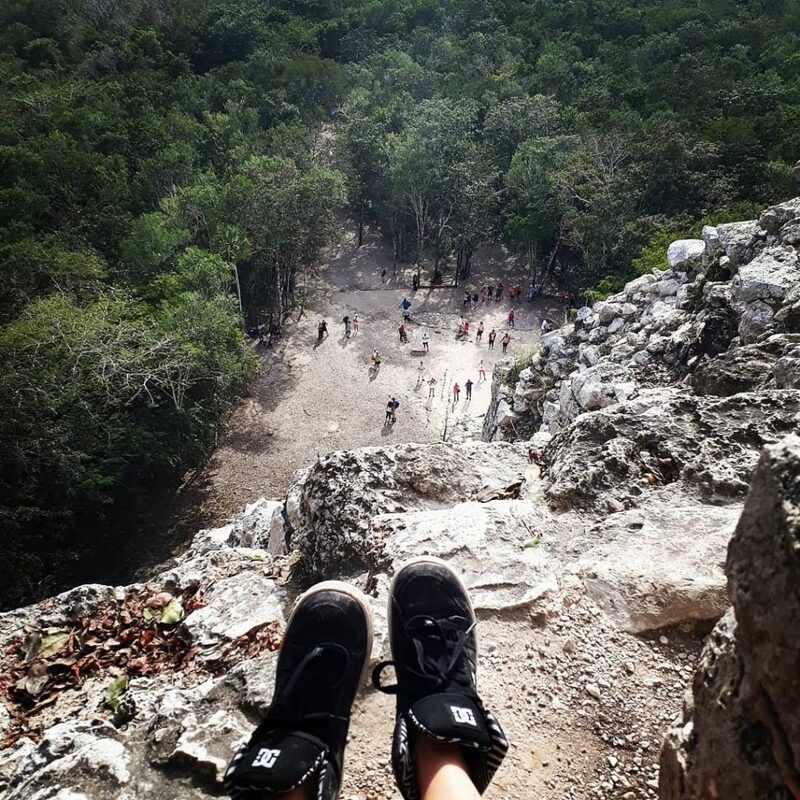 The archaeological site of Coba was on my list of must-sees but, according the information online, it seemed almost impossible to get there without renting a car or taking a taxi. WRONG. There are both colectivos and buses going there, so don’t believe whoever says otherwise. The colectivos are parked at the intersection of the main road and calle Osiris Norte and cost 50 pesos one way, whereas the Mayab buses leave from the ADO bus terminal and cost as little as 32 pesos. Even though it’s always better to visit the ruins early in the morning to avoid the crowds, Coba is nothing like Tulum. The archaeological site is so huge that even in the middle of the day on a Sunday you’ll find yourself walking in the jungle alone. I got there at 2 pm and I was still able to find a quiet spot to meditate completely by myself. To speed up the visit, you can rent a bicycle inside the site, but in my opinion you get to enjoy it more if you walk instead. 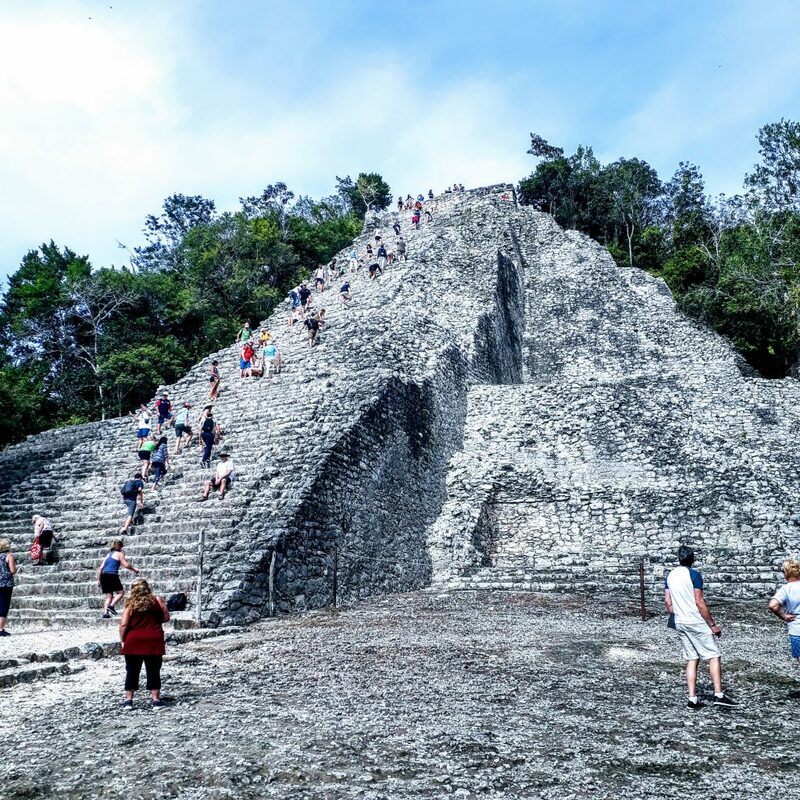 The main attraction in Coba is the huge 42 m tall “climbable” pyramid of Nohoch Mul. The 120 steps are quite high and uneven, but the climb is not too hard and the view from above is amazing! The pyramid tends to get quite crowded, so head there first if you can and then explore the rest of the site. After visiting the ruins, you can also take a cenote tour and explore 3 cenotes only 10 minutes away from there. One of the national sports in Mexico could easily be “taco eating”, as there are taco stands literally at every corner. 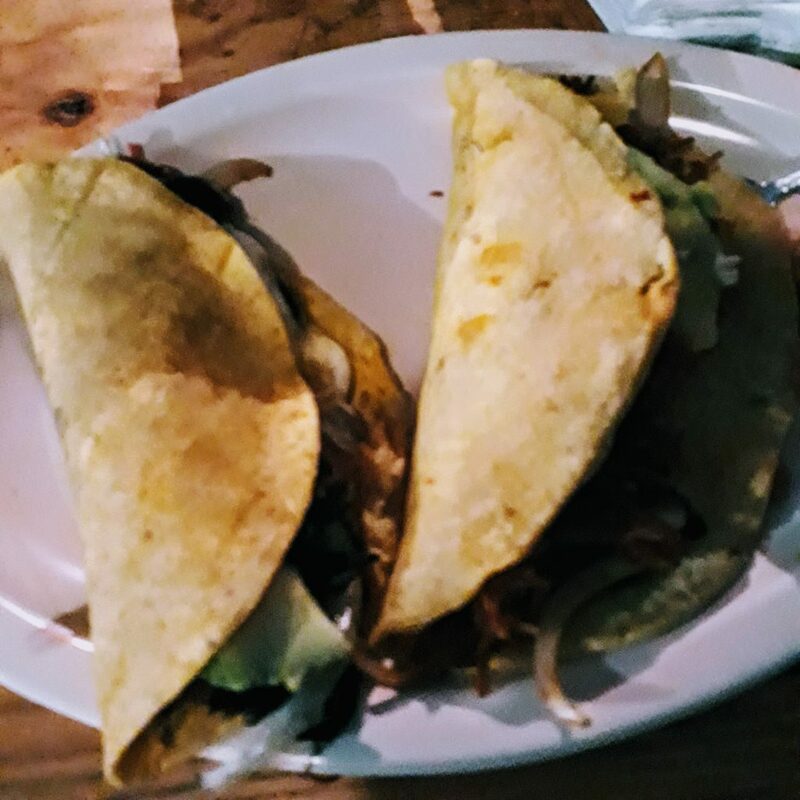 With the overabundance of restaurants in town, finding the best tacos in town is a hard task. Hotel and hostels owners are not 100% reliable, since they often have deals with specific restaurant owners. Your best bet is to try as many as you can, following the locals and avoiding the main road: side street spots may not be as glamorous but they are certainly more authentic. The most time and cost-effective way to explore Tulum is the bicycle. There’s a bike rental shop every 100 meters or so and the prices are on average 130 pesos/24 hours. However, walking is perfectly acceptable too, the town is not very big and most attractions are located within a 5-km radius. Colectivos: The colectivos going to Playa del Carmen and Cancun as well as those heading south can be found everywhere on the main road. The colectivos heading to Coba are parked at the intersection of the main road and Osiris Norte. Buses: All the buses (ADO, Mayab, Oriente, etc) leave from the ADO bus terminal. For discounts up to 50% buy your tickets one or two days before departure. 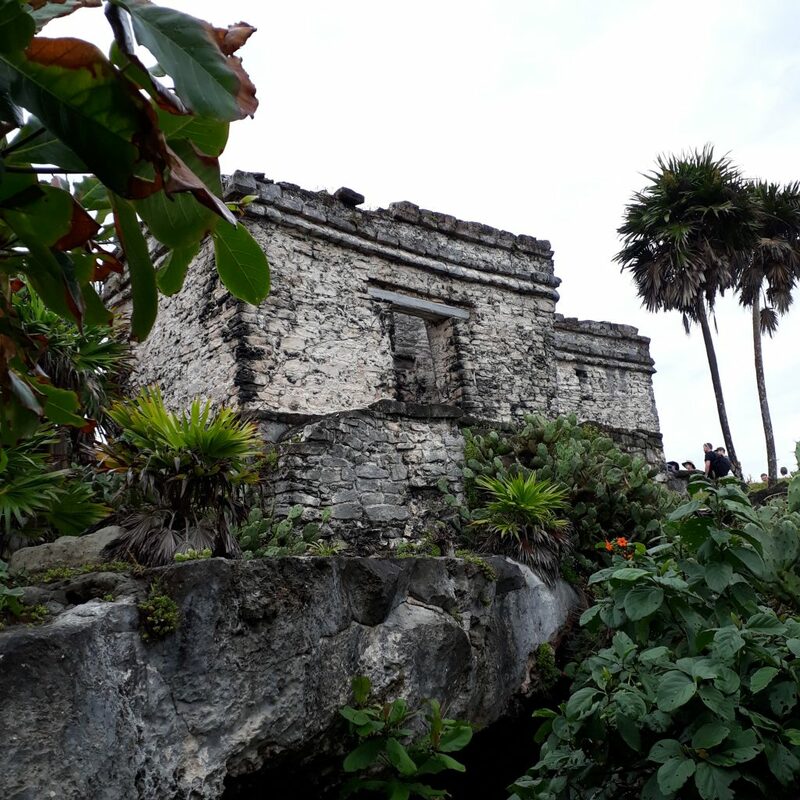 There is no shortage of hostels, guesthouses and hotels in Tulum. While the resorts are located on the waterfront, the cheaper solutions are usually in town. 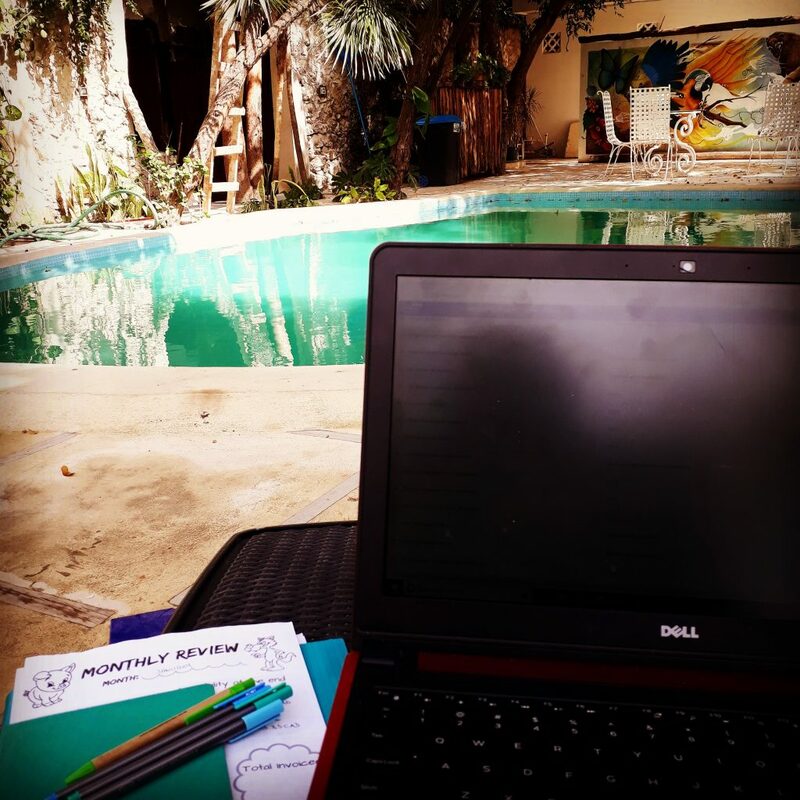 I stayed at the hostel Nativos Tulum and had a lovely time there. Breakfast is included, there is a pool, a nice common area and terrace and each bunk bed has its own curtain for additional privacy. The atmosphere is great and people are friendly. Whatever place you decide to book, feel free to use my booking.com discount code and save up to 25 CAD. Where to work: I recommend the Art Club. WiFi is reliable, food and drinks are good and the artsy decor makes it a lovely place to get some work done. Food: Check out the fruit markets in the side streets, avocados are really cheap in Mexico! I survived on tortillas with avocados and tomatoes for days and days. Cheap and delicious. Safety: I felt very safe in Tulum, even walking by myself at night. You may have to turn down a couple of marriage proposals here and there, but nothing dangerous.